It's Dora The Explorer! 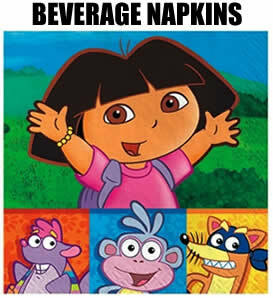 These adorable beverage napkins include 16 napkins per package. The perfect party supply item for your little girl's party.